Volkswagen is set to become a new partner of UEFA, the Union of European Football Associations, starting in 2018, continuing its long-standing football tradition. Under a four-year contract as “Official Mobility Partner of UEFA National Team Football”, the company will also be supporting the UEFA 2020 European Football Championships, which is taking place in 13 countries for the first time to mark the 60th anniversary of the competition. This engagement in the world’s most popular sport will mainly serve as a communication platform for the market launch of the I. D., which will be the face of Volkswagen’s new e-mobility family from 2020 onward. Volkswagen is at home on roads from the Atlantic to the Urals, between Spitzbergen and Sicily. Just under 1.7 million vehicles were delivered to customers in Europe last year. Passenger cars bearing the round VW emblem are available in all of UEFA’s 55 member countries. The automotive brand also operates 21 production plants with around 150,000 employees in seven countries on the continent. Volkswagen has deep roots in European football in particular. Starting in 2019, the German football association (DFB) will be joining the existing partnerships with the national football associations in France (FFF) and Switzerland (ASF/SFV) to drive the Volkswagen brand. Expanding the commitment to football is designed to support the company’s strategy for the future. “Football and Volkswagen are the ideal match. Football is played in almost every country and is inclusive – just like our cars. So the sport offers us the perfect opportunity to present our new orientation. In footballing terms, Volkswagen will be playing an attacking game over the coming years. After all, we are rolling out the biggest offensive in the history of our company in terms of models as well as e-mobility”, said Herbert Diess. Volkswagen’s engagement extends to other top-calibre football competitions as well as UEFA EURO 2020™. The partnership with UEFA also includes the UEFA Women’s EURO, UEFA Under 21 Championships, Futsal EURO, and the final tournament of the newly-created UEFA Nations League, which will make its debut in 2019. Volkswagen will also be entitled to use various rights in respect of the qualifiers for UEFA EURO 2020™. 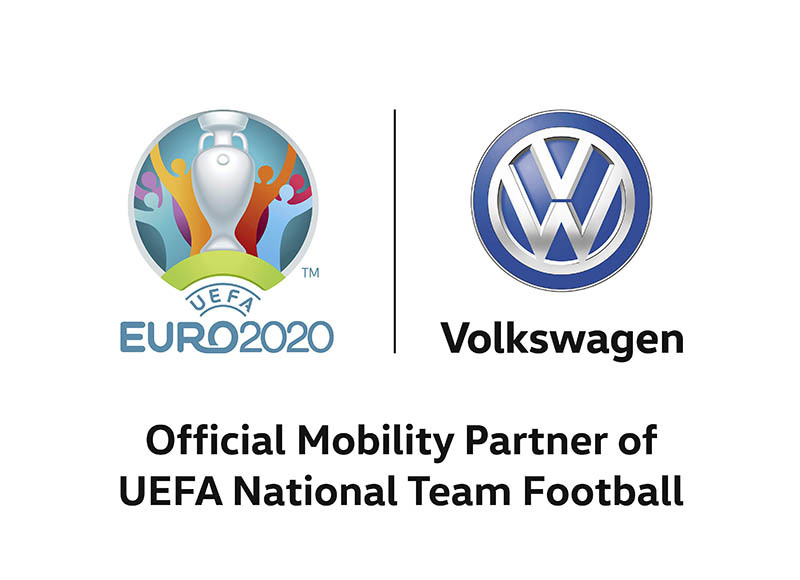 As UEFA’s “Official Mobility Partner of UEFA National Team Football” Volkswagen will enjoy an extensive package of rights, including advertising and promotional rights, digital rights, tickets, and hospitality options. In total, some 500 matches will be played during the term of the contract.